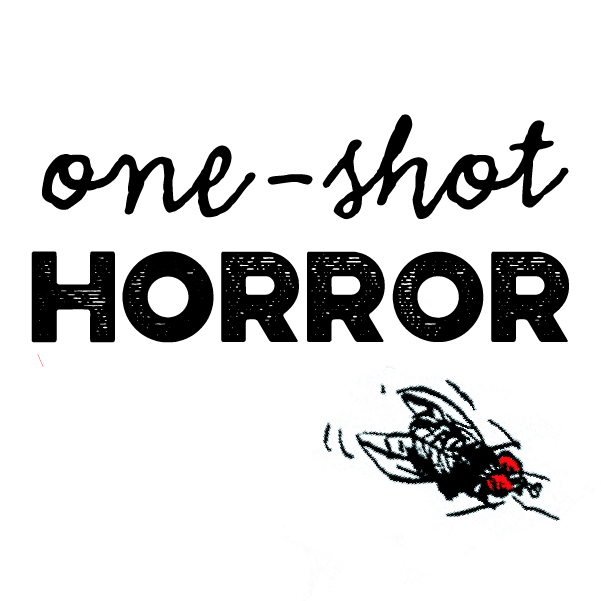 From the creators of LOST ANGELS comes “One-Shot Horror” – a short anthology series that gives you horror in stark black and white… with a little touch of color. Perfect for fans of EC horror comics, THE TWILIGHT ZONE, and TALES FROM THE DARKSIDE! Welcome to Sinley Bay, a storied haven for outlaws hidden deep within the asteroid field called the Scum Belt. For the refugee known only as “Mac,” the spaceport represents an escape from her mysterious past… and the key to a future of fortune and glory! Explore Sinley’s galactic hive of black market traders, bottom-feeding gamblers, and mercenary ship captains as hot up-and-comers David Accampo and Paul Montgomery (The Margins) team with Priscilla Petraites and Marco Lesko (Brilliant Trash) to engage the afterburners and fire up the heavy torpedoes in this tense sci-fi adventure inspired by the space combat action video game from Six Foot Games: DREADNOUGHT! 1937. Middling pulp author Simon Gardner Kent goes missing, presumed lost at sea. He leaves behind a pregnant wife and a final, unpublished manuscript depicting his hero Typhon Creed’s last ventures into the lush, violent world of Elad. 2017. 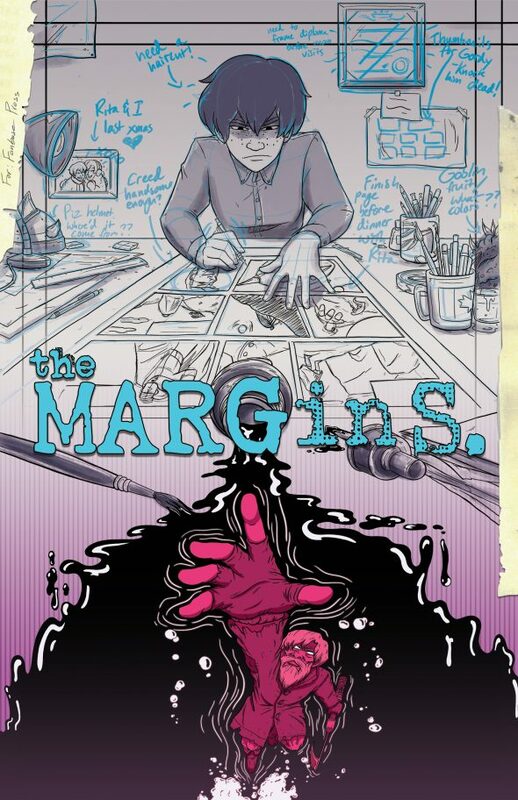 Kent’s great grandson, Gordy Lamb, discovers the author’s last manuscript, raw material for a thrilling bestseller — this time as a comic book. He enlists Portland artist Charley Keo to visualize this lost realm of cobalt mountains, warrior despots, and Wyvodon-riding sky slavers. But as Charley continues to sketch, tendrils of a newly stirring Elad creep into her sleepy Portland neighborhood. Peculiar growth and curious creatures flit through the edges of Charley’s life, straying ever closer to the artist and her girlfriend Rita. Charley realizes that Elad is much more than the lines on a day-dreamt map, more than the sum of an old hack’s prose. 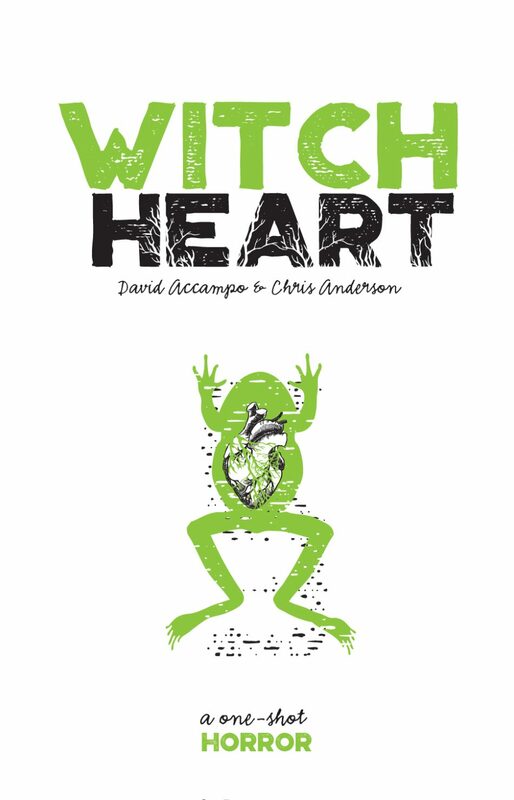 What was once fantasy quickly becomes deadly reality for Charley and Rita, as the original author returns from the wilds of Elad to reclaim what was once his — at any cost. The Margins plumbs the ink-black depths of storytelling in all its obsession, as well as one woman’s valiant crusade to bring authentic Mexican cuisine to the hungry streets of Stumptown. 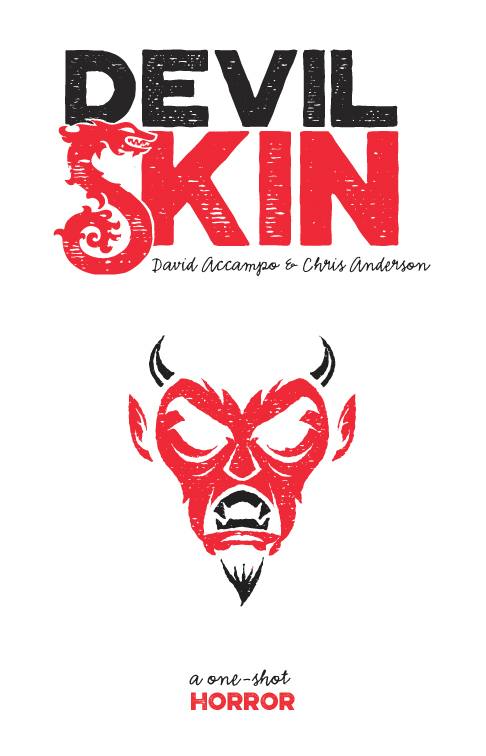 AVAILABLE NOW on from Amazon, ComiXology and directly from Fanbase Press! Crime, culture, and coming-of-age take flight in Lost Angels — a sci-fi mystery set in a world where Los Angeles residents co-exist with a race of alien angels. As tensions between communities boil over, high school student Alex Martinez must unravel a mystery that takes her from the spires of the Silver City to the ruins of Old Santa Monica. The first story arc, “Paradise High,” launched in March, 2015 from Comicker Digital. 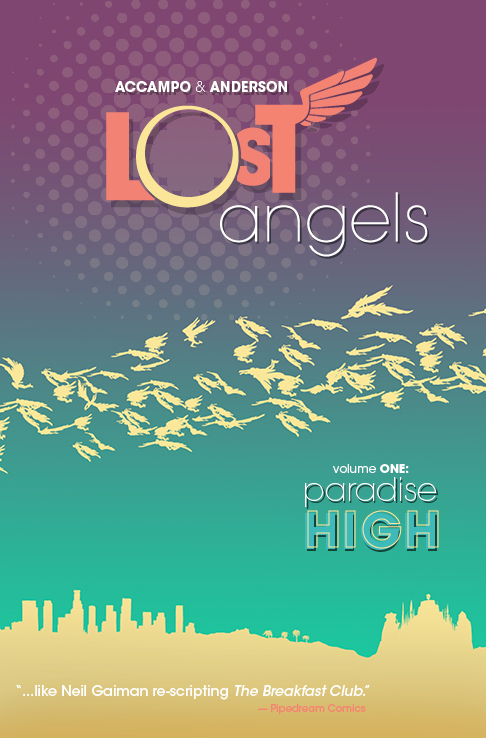 Lost Angels Volume One: “Paradise High”is currently available digitally on ComiXology and in print at the Comicker Press store, Amazon.com, and select comic book retailers. 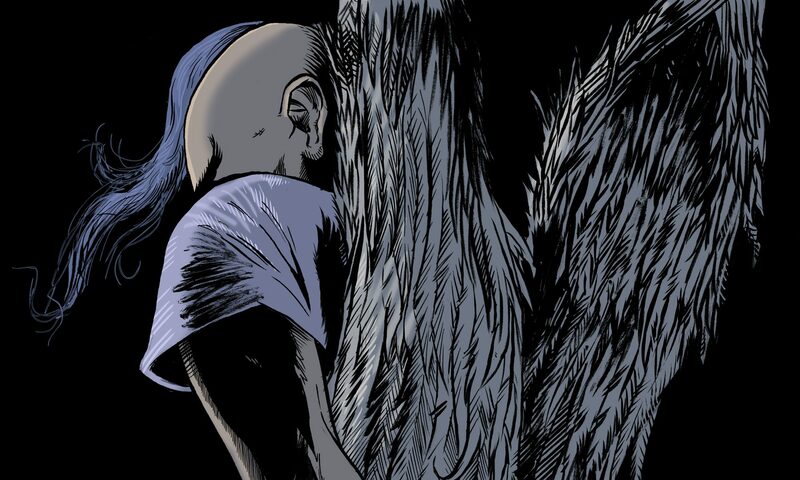 Lost Angels Volume Two: “The School Daze Playlist” — currently in the midst of its run — is available on ComiXology, Amazon Kindle, and DriveThru Comics. 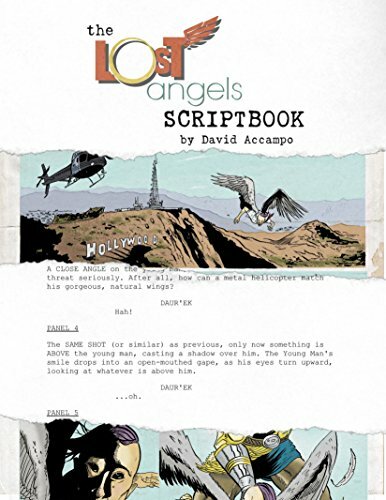 The Lost Angels Scriptbook, featuring the entire graphic novel script by David Accampo, is also available on Amazon Kindle. Spinning out of the critically acclaimed audio drama, Wormwood: A Serialized Mystery, comes this prequel featuring Doctor Xander Crowe and his partner Sparrow! Freelance occultist Doctor Xander Crowe has a job: exorcise the demon living inside of Amanda Marino. Unfortunately, the stakes are a little higher than usual when you’re performing said exorcism on a mob boss’ daughter. 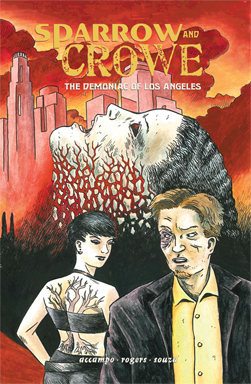 And when Crowe discovers that the entity living inside Amanda is the devil who destroyed his previous life and cost him his hand, Crowe begins a harrowing descent into madness that will put not only Amanda’s life in jeopardy, but also his own. 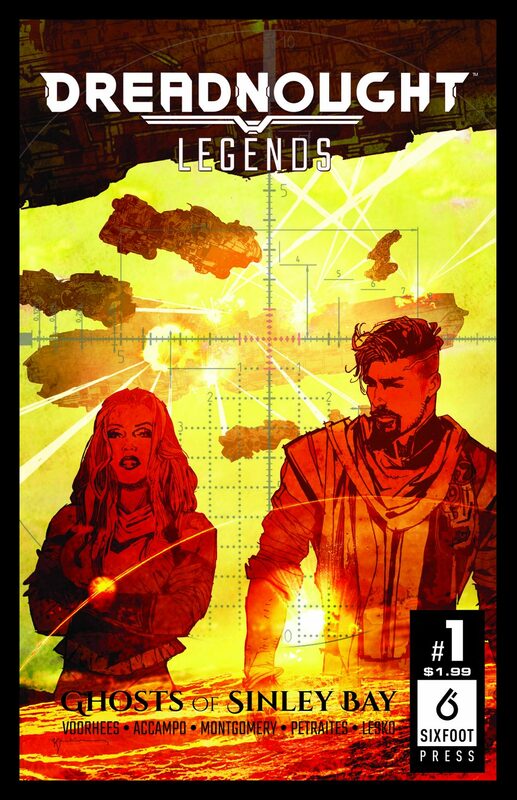 The entire Sparrow & Crowe mini-series is now available in full at ComiXology.com!